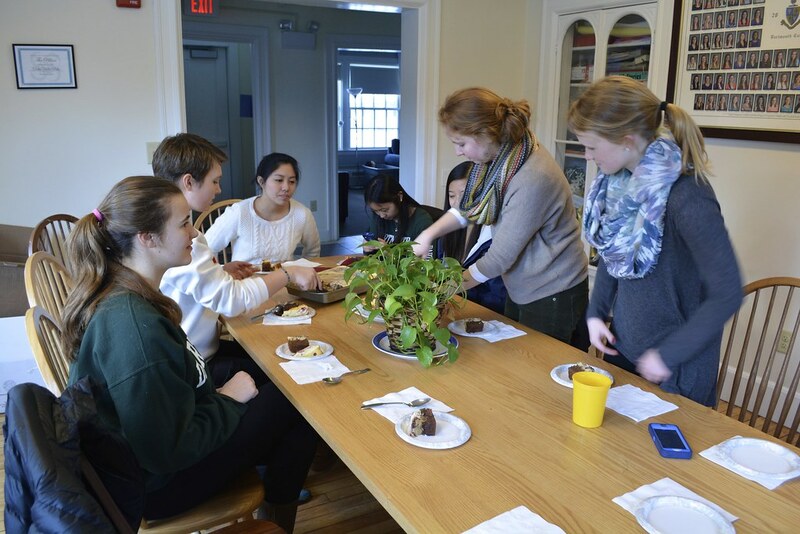 On Saturday February 22, eight girls battled it out in the kitchen at the Panhellenic Council’s Bake-Off. Each sorority sent one girl to represent its house at the showdown in hopes of winning this competition. I, a sister of Kappa Delta Epsilon, was on a team with girls from Alpha Phi, Sigma Delta and Epsilon Kappa Theta and we were facing girls from Tri Delta, Alpha Xi Delta and Kappa Delta (Tri Delta had two chefs in the kitchen, as Kappa Kappa Gamma did not participate). Each team baked in separate kitchens, coming together at the end of the event to taste not only their, but also their opponents’ treat. Our team decided to bake Tiramisu Brownies. All of the ingredients had been purchased by the Panhellenic Council prior to the event. One of us melted chocolate; another beat eggs; another made the Mascarpone topping; another began measuring out other ingredients. 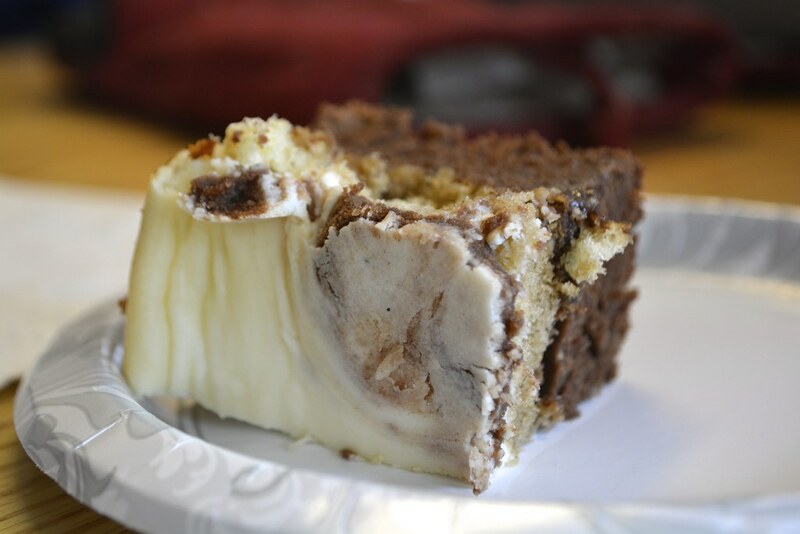 As we began to mix our creation, we did not fail in sneaking dollops of extra batter and licking the spoons that was used to create the delicious, creamy Mascarpone topping and the fudgy brownie base. We hit one speed bump in the road to victory, as we had to find brewed coffee somewhere in the Epsilon Kappa Theta house since there was no coffee pot to brew fresh coffee. But of course, we conquered the challenge. After two hours of slaving away at the stove (otherwise known as eating chocolate and cheese), our brownie creations were thoroughly cooked. I carried the 13”x9” pan around the corner to the Tri Delta house, where our opponents had been cooking for the past two hours. 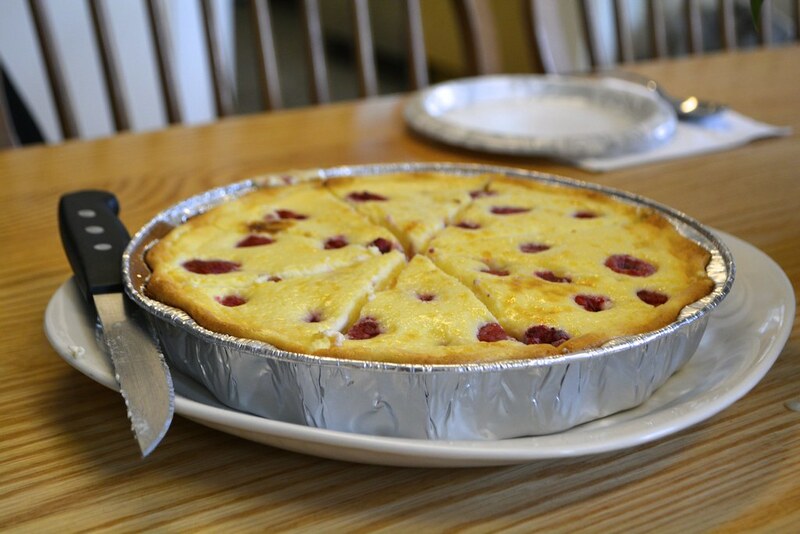 They had made a delicious raspberry cheesecake tart: the creamy cheesecake, mixed with the light custard, in combination with the sweet raspberries made your taste buds pop. All eight of us sat down to devour the two desserts (I myself had two pieces of tart and three brownie squares), and every girl gave at least one “Mmmm” as she ate. 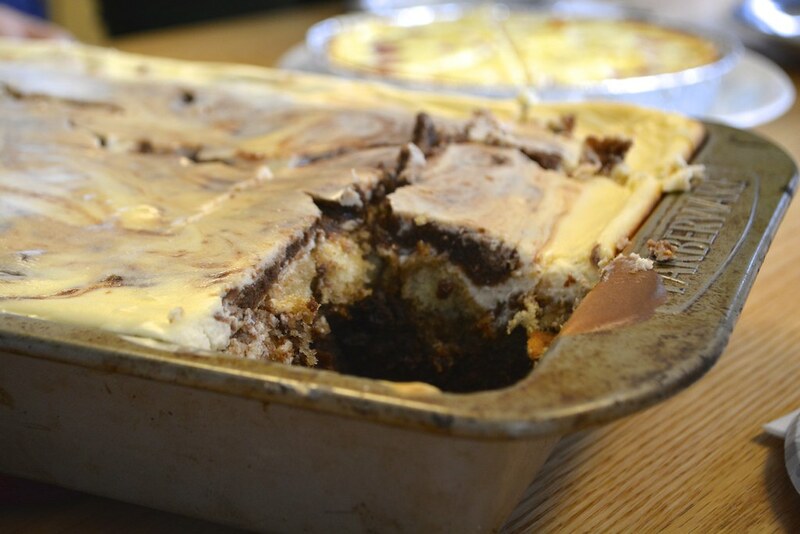 In my (possibly slightly biased) opinion, our Tiramisu Brownies were the clear winner…but it was definitely a close race and no official winner was ever declared. However, we all met girls of different ages and from different sororities who share one common hobby: baking. And we got to stuff our faces with chocolate and cheesecake — it doesn’t get much better than that!